Tribble Insurance Agency, a family owned insurance and financial planning firm with locations throughout eastern Virginia, is announcing a cooperative charity drive with the CARITAS organization aimed at providing for homeless and underprivileged residents in the Richmond region. The CARITAS organization is the largest of all providers of homeless services in the greater Richmond metropolitan area. 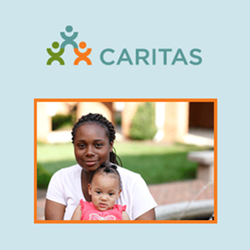 By working to fill the gaps in services provided by public agencies, CARITAS works to ensure that no families are left behind and that everyone in the system is able to find a secure and stable way to retake control of their lives and financial futures. “CARITAS has been consistently helping people in the Richmond area for years, and we’re working to ensure they are able to continue providing services to families in our area who need them most,” says Trip Tribble, founder and director of Tribble Insurance Agency. Utilizing a large network of personal and professional contacts, Tribble and his team are sharing information about the CARITAS charity event over social media and email with families and business owners throughout Virginia. Tribble Insurance Agency will also be running a full page article featuring the charity event in this month’s issue of the firm’s online magazine “Our Hometown”: http://tribbleinsuranceagency.com/Our-Hometown-Magazine_39. More than half a dozen nonprofits and charitable causes in Virginia have benefitted from the assistance of the Tribble Insurance team over recent months. As part of a permanent community involvement campaign called “Agents of Change,” Tribble Insurance Agency will continue to select and work with a new Virginia-based charity or cause every sixty days. Readers that want to join Tribble Insurance Agency during the CARITAS charity drive are invited to visit this page and make a direct contribution to the cause: http://tribbleinsuranceagency.com/Breaking-The-Cycle-of-Homelessness---One-Family-At-A-Time_27_community_cause. Readers looking for additional information on charities and nonprofits previously supported by Tribble Insurance Agency can find more details on the firm’s Community Causes page: http://tribbleinsuranceagency.com/community-cause. As a Personal Finance Representative in Ashland, agency owner Trip Tribble knows many local families. His knowledge and understanding of the people in his community ensures that clients of Tribble Insurance Agency are provided with an outstanding level of service. Trip and his team look forward to helping families protect the things that are most important - family, home, car and more. Tribble Insurance Agency also offers clients a preparation strategy for achieving their financial goals. To contact an expert at Tribble Insurance Agency, visit http://tribbleinsuranceagency.com/ or call (804) 550-0900.